In a world that is become more and more marketing and marketer-driven, it is necessary to for all businesses to step up their game. It’s simple really – the business that markets itself well, wins. 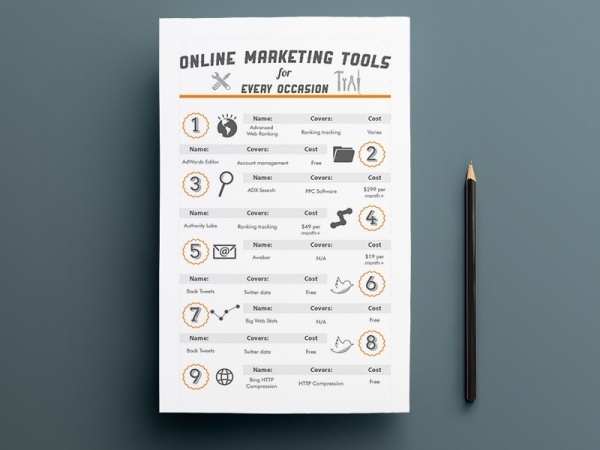 Due to online marketing initiatives now, the ways and tools of marketing have changed immensely. There are however some marketing methods and tricks which remain unfazed and unchanged. 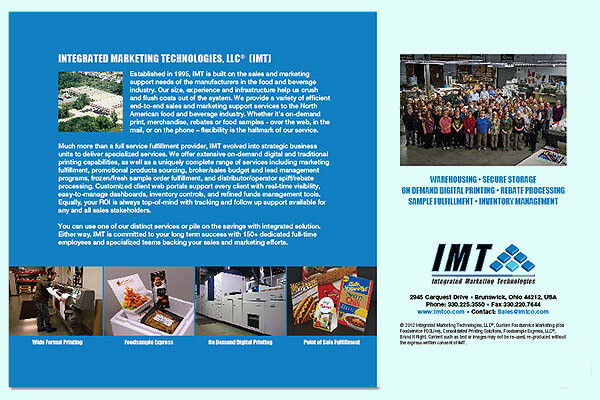 Brochure marketing, for example. In the recent years, in fact, the popularity of brochures has sky-rocketed. Travel Brochures make maximum impact and in a cost-effective manner. 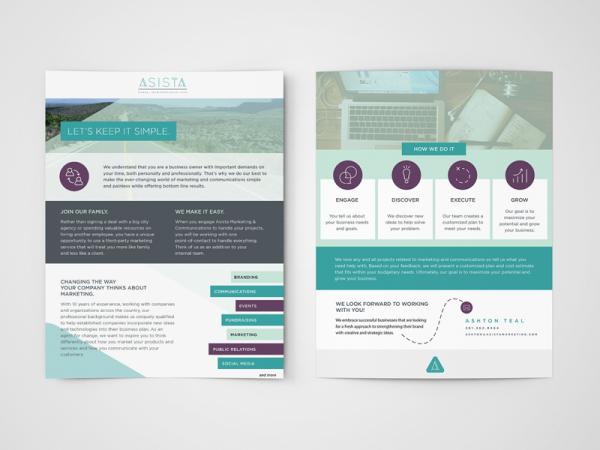 In this post, we bring you the latest trends and styles of marketing brochure templates which you can use to create your own in a jiffy! 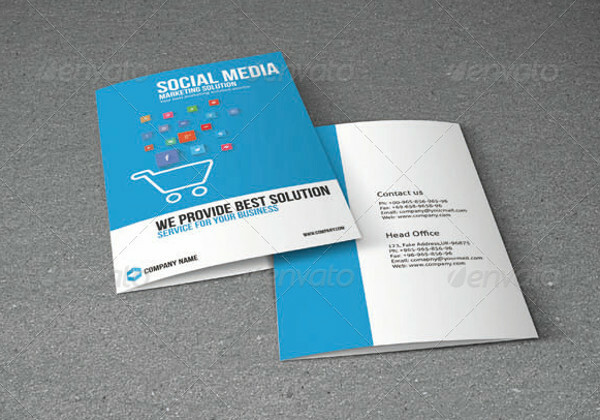 This one is a great option as a template for a social media marketing bi-fold brochure. The template is packed with files already layered, grouped and named. 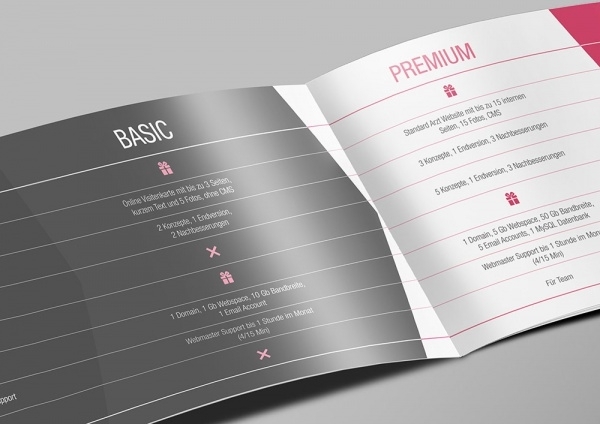 The 11 x 8.5 inches template is easy to edit and customize. 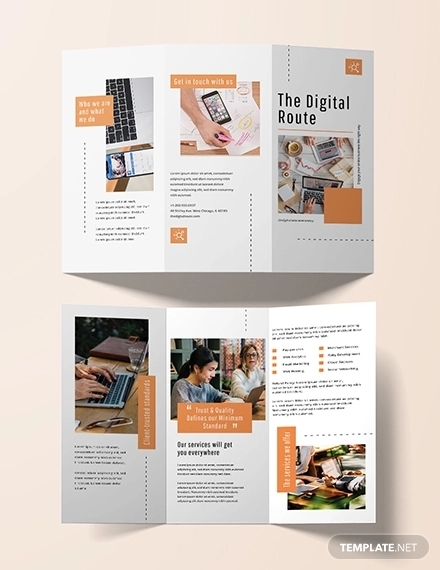 This is a tri-fold marketing brochure template, replete with all the options and customizations to help you design the brochure of your choice. The dimensions of the template are 8.27” x 11.69” (210mm x 297mm) + Bleed. 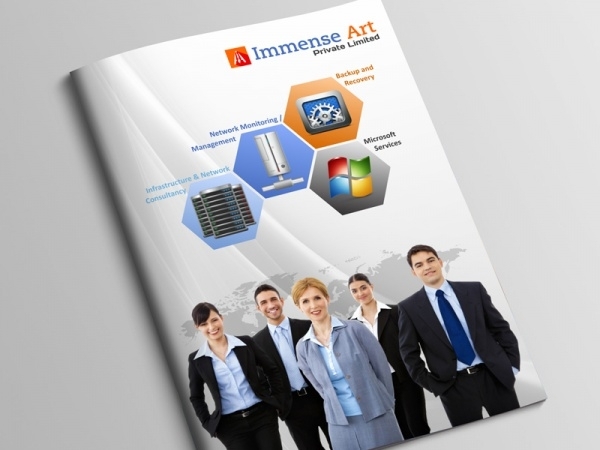 Make an impression on your potential clients and put on an impressive set of your photogenic works into this elaborate 24-pages long magazine style brochure template. It’s easy to use and ideal for branding and marketing. 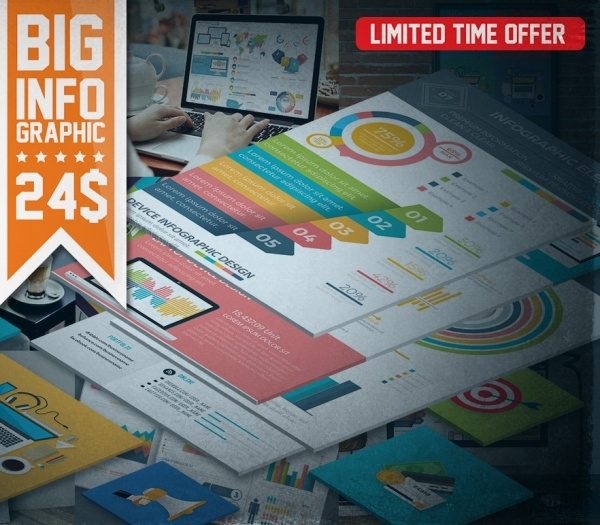 Improve the branding strategy of your products and services by compiling theme in this modernly-designed marketing kit which includes templates for a brochure and booklet. 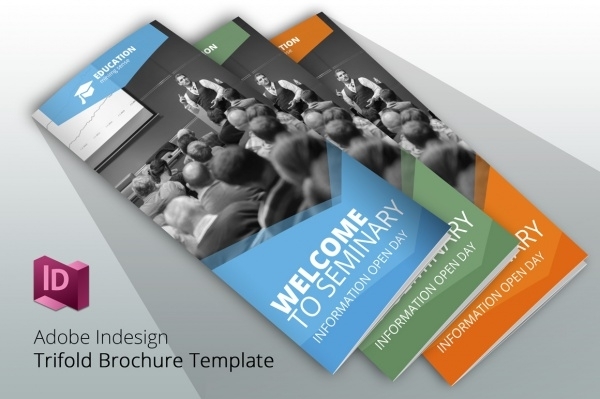 You can use the brochure/booklet for onsite/off-site distribution. 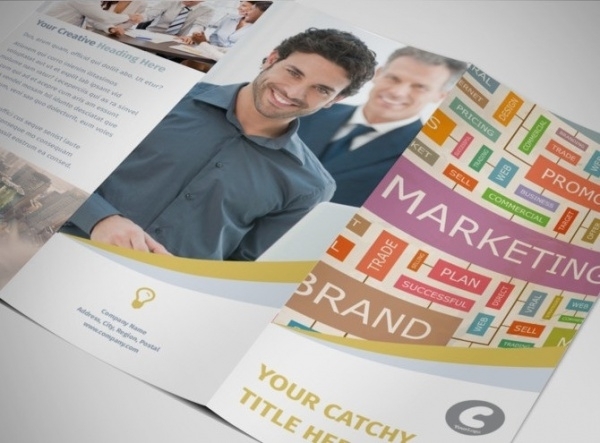 This well-designed marketing sales sheet brochure template presents another unique way for you to market your company’s line of products and services. The template is high quality and customizable. 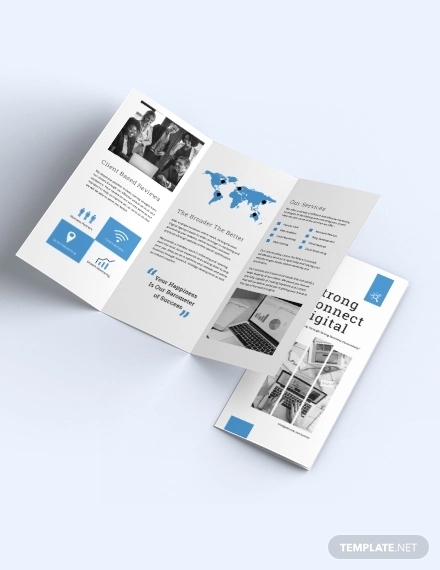 The absolutely stunning tri-fold marketing brochure template, developed in InDesign CS2 and Photoshop, is print-ready material. This template allows for edits – text, images, etc. 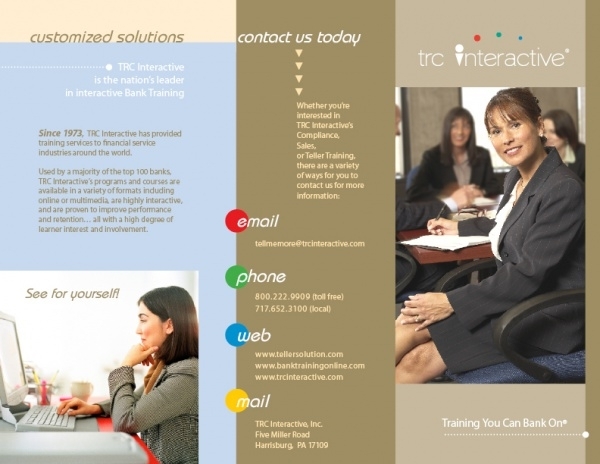 You can revise the color scheme to suit your company’s branding identity. 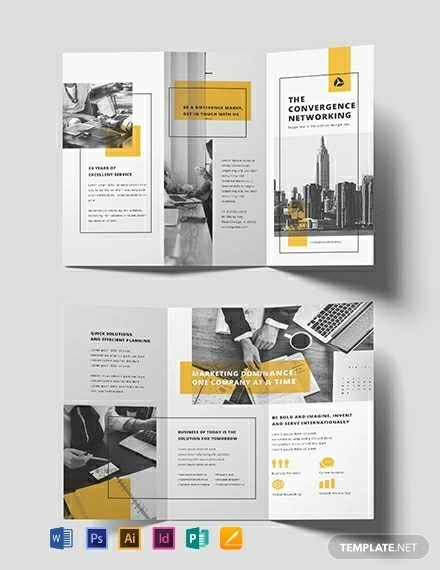 This A4-size tri-fold brochure template has a very high quality and subtle set of design features. Available in 297 x 210 mm dimensions, you can easily use this template; insert your selection of images and text, to create a suitable marketing brochure. 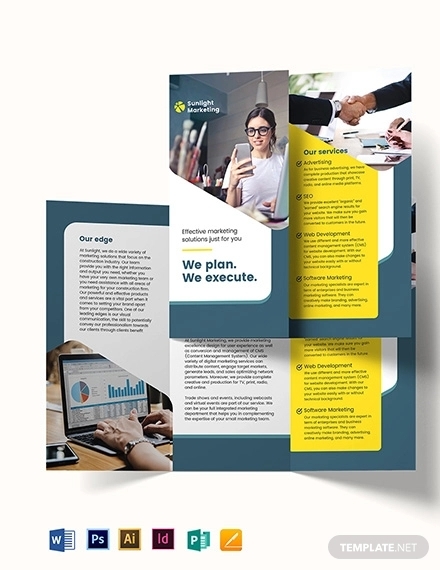 With a clean design, and flexibility in customizations, this tri-fold template allows your corporate identity to shine through the content which you put into the pages. 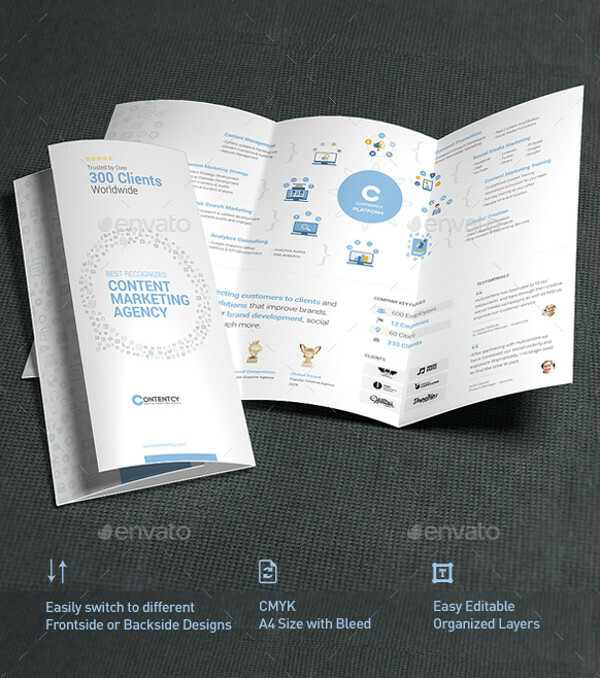 If you’re looking for a content-driven marketing brochure, this is a fitting choice! This is a complete brochure package. 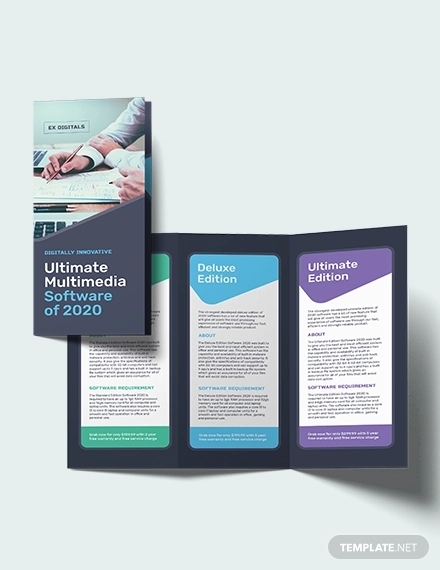 There are 6 files zipped together which allow you to create infographic materials which can be used in flyers, newspapers, magazines, corporate brochures, resumes, emails etc. 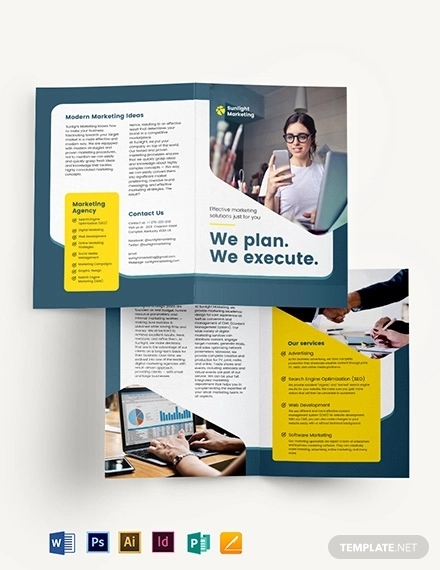 For a marketing consultant who wants to advertise and promote his services to a wider audience, this bi-fold brochure template is the perfect choice. This template is A3 size is fully editable.